The people at Dinafem Seeds are rightfully proud of this type. In order to please fans of a high CBD-content even more, the breeders have developed a CBD-rich variant that evidently has the same premium qualities as the ones that have given the original Critical Mass such an excellent reputation. As a variety of weed seeds, Critical Mass has obviously already earned its spurs. 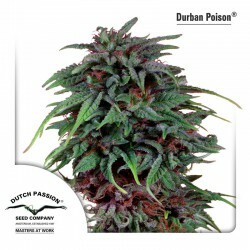 The people at Dinafem Seeds are rightfully proud of this type. In order to please fans of a high CBD-content even more, the breeders have developed a CBD-rich variant that evidently has the same premium qualities as the ones that have given the original Critical Mass such an excellent reputation. In order to increase the CBD-percentage in these cannabis seeds, the Critical Mass has been crossed with a CBD Crew. This has resulted in cannabis seeds you can cultivate yourself in your own growth-environment. Experience is certainly not required when you cultivate the Critical Mass CBD weed seeds. These cannabis seeds, and the resulting plant, can be very easily tempted to achieve their optimal potential. Something that is also practical for the indoor grower: the plant does not need a lot of space especially when you compare the size of the weed plant with the large number of resinous buds you will be able to harvest. It is possible to have the cannabis seeds reach their full potential outdoors but only under certain conditions; a dry and not too cold climate will be necessary in that case. However, to both the indoor and the outdoor grower applies one thing: once the plants have reached the time to harvest it is just a matter of bringing the yield in and you will be able to smoke the weed. But what awaits you during the smoke? First of all, the effect this cannabis has on your body is obviously striking. Thanks to the present CBD and the indica-properties, relaxation is guaranteed. The taste is an interesting blend of exotic wood, pine trees and lemon. The scent is entirely in tune so all your senses will be pampered.